Containers of Roundup, a weed killer made by Monsanto, on a shelf at a hardware store in Los Angeles on Jan. 26, 2017. 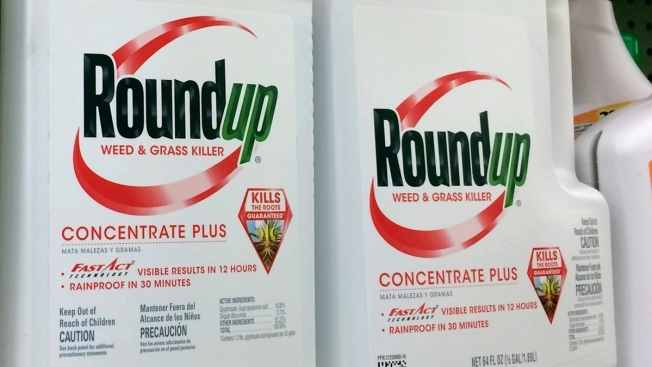 A jury in a San Francisco federal court will decide whether Roundup weed killer caused a California man's cancer in a trial starting Feb. 25. The Los Angeles County Board of Supervisors Tuesday directed all departments to stop using a popular weed killer until more is known about its potential health and environmental effects. Supervisor Kathryn Barger recommended the moratorium on glyphosate -- a main ingredient in the herbicide brand Roundup. "I am asking county departments to stop the use of this herbicide until public health and environmental professionals can determine if it's safe for further use in L.A. County and explore alternative methods for vegetation management," Barger said. The motion, co-authored by Supervisor Sheila Kuehl, cites "a growing body of scientific study" of herbicide safety and the potential for negative impacts. The European Food Safety Agency does not agree with the WHO. However, a recent court ruling requires EFSA to disclose the details of its own studies.